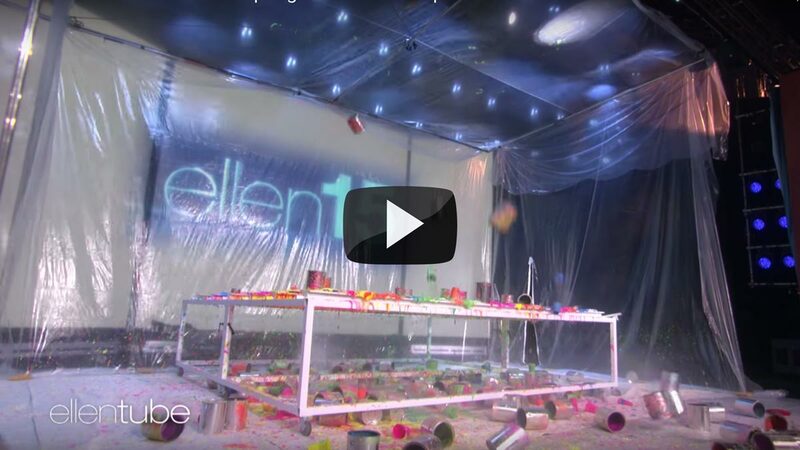 STEVE SPANGLER returns to the Ellen Show on Friday, December 14th, and he’s bringing the fun! 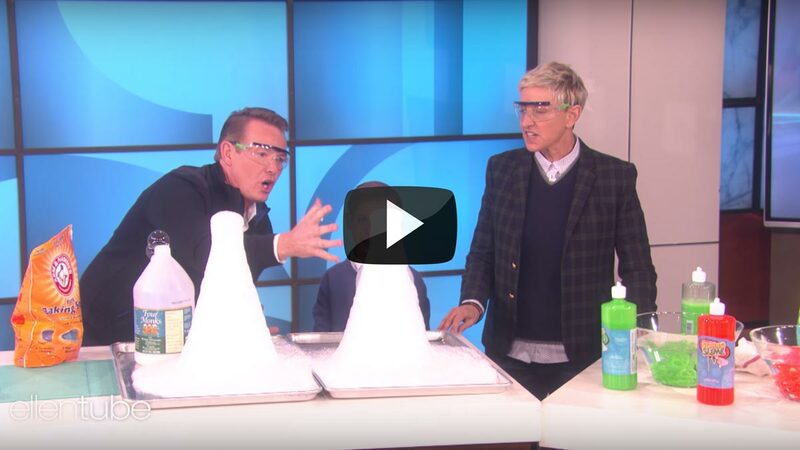 The CEO, television personality, and science teacher has dazzled Ellen’s audience with so many fun experiments over the years, and we’re sure he’ll have a few to delight our special host Ellie! He’s responsible for so many viral videos of crazy tricks and experiments, like the famous Mentos and Diet Coke trick! It’s sure to be a fun time when Steve stops by, and you’re bound to see something exciting! Steve brings his passion for science to the Ellen DeGeneres Show. Steve is honored to appear on The Ellen DeGeneres Show this week as Ellen’s Science Guy and, as always, he has something explosive and amazing planned. Check out all of Steve’s appearances from season’s past by clicking the videos below. You don’t want to miss out on any of the hands-on science that Steve has shared with Ellen. 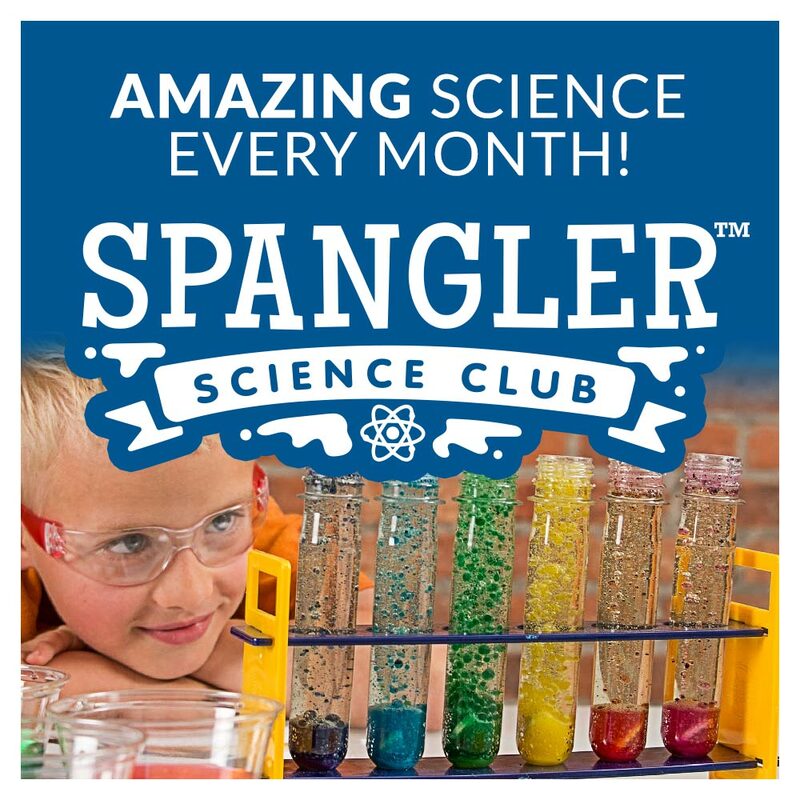 There’s only one talk show where the host will let a scientist (who may or may not have lost his mind) blow stuff up, make oozing concoctions, and even use her to demonstrate a bed of nails. That’s right, this stuff only happens on The Ellen DeGeneres Show, and only when Steve Spangler makes an appearance. 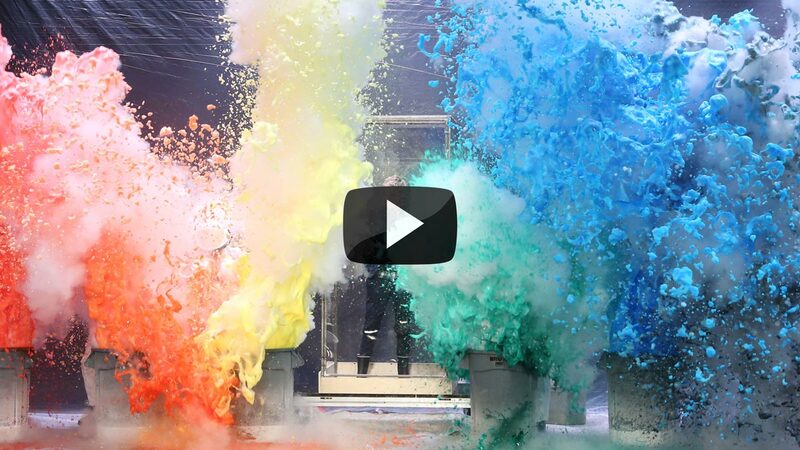 Tune in to find out just what fun and creative experiments Steve has in store for Ellen this time.